Line is a well-known application for immediate communications through the use of portable devices like smartphones, computers, tablets, etc. This tool allows users to converse with their friends and love ones by exchanging text messages, photos, audio and video files. It also features VoIP that allows users to make an audio and video call free of charge. With increasing popularity, the demand for Line video call recorder also increases as many users wants to keep a copy of their video chat conversation which they can watch later on. There are various ways to record your video call on Line app since it is now available in different platforms like Windows and Mac computers, iOS and Android smartphones, learn more about these ways as this post continues. 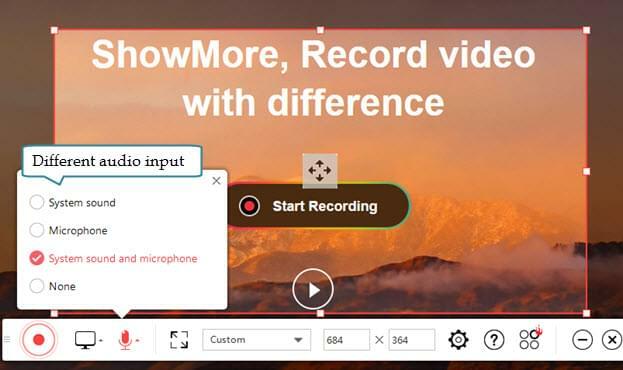 If you are going to record your Line video chat conversation using computer whether it runs Windows or Mac, the easiest way for you to do is to capture your video call using ShowMore. This is a web-based application that offers free screen recording, video uploading and video sharing in one. Unlike other online applications that freeze all of the time, this program has its own launcher so it loads fast without any conflicts. And as you use this tool, you will be given an option to choose the audio source that you prefer such as system sound, microphone, or both. 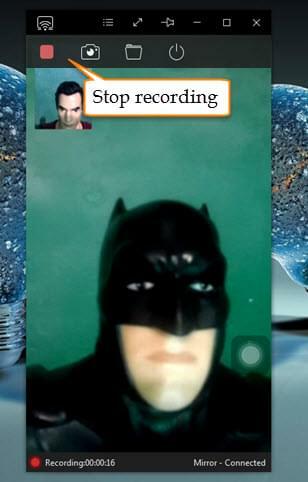 Moreover, this app also supports webcam recording that is useful in making online reviews and commentaries. To record video call with this tool, here are the guided steps. Open settings and set the hotkeys, output folder, video format etc. Launch your Line app from your computer and start making a video call. 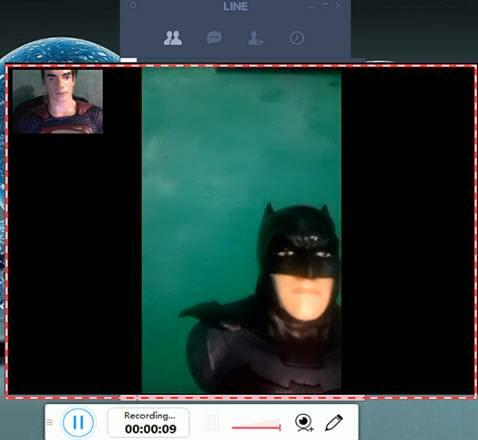 Once the video call is connected, open back the screen recorder and adjust the recording frame along the area to capture. Begin the recording by clicking the “Rec” button and the recording will start instantly. End the recording by hitting the pause button and click the check button. A preview of the recorded file will then appear where you can choose the particular portion that you need to save. Save the chosen portion of the clip by pressing the “Save” icon located at the lower left portion of the screen. Another window will appear, now select whether you want to save your video on local disk, save it as GIF or upload it to cloud storage. As we all know, Apple has been very strict with screen recording and does not allow any third-party screen recorders in App Store. This is why some users are forced to use alternative screen recorders that require jailbreaking or hacking the device’s iOS so that the screen recorder will work, but this is so risky to do. In this case, the safer way on how to record Line video call on any iOS device is by utilizing the built-in AirPlay function. Recording via AirPlay is quite easy if you use an application like Apowersoft iPhone/iPad Recorder. This program integrates the AirPlay function to mirror your iOS device screen on computer where you can easily capture screen using the tool’s recording function. And you can also use it to record FaceTime calls or other video chats. Aside from recording, this app also has a screen capturing function that can be utilized in taking video call snaps which you can share on social media sites or keep it as a remembrance. To record video chat on Line with this app, just follow these steps. 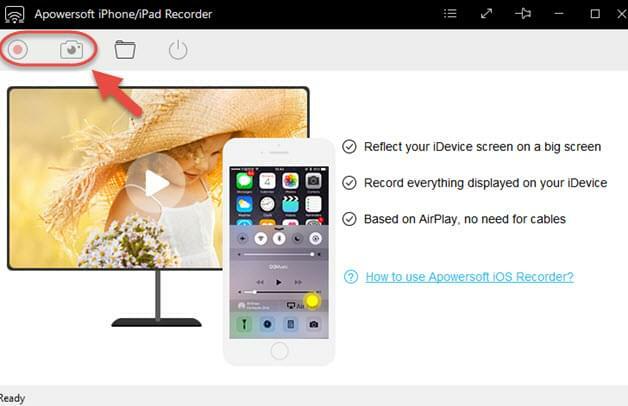 Get and install Apowersoft iPhone/iPad Recorder by hitting the button below. Launch the program and go to settings and set the video and audio quality, output folder, format, etc. Connect your iOS device to your computer by enabling its AirPlay function. To enable AirPlay, simply swipe your screen from the bottom upwards, and tap “AirPlay”. Now, look for the small TV icon with your computer’s name and tap it to enable mirroring. Open your Line app and start making a video call. Now, you can start the recording by clicking the red recording button. To end the recording hit the stop button and the recorded file will be saved on the designated folder that you’ve selected. On the other hand, if you are using Android running devices, then there are different screen recorders that you can find online. But most of them fail as they hang or freeze as you do the recording, while some are infested with pesky advertisements that pop every now and then. 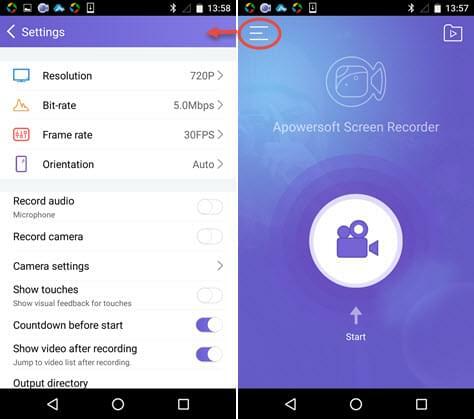 To record Line video call on Android, there is a working app that you can use called Apowersoft Screen Recorder. Unlike its competitor, this app is designed to fit well with the Android system so freezing due to incompatibility is not an issue. Plus, this screen recorder is free of ads so there won’t be any annoying advertisements popping out while using the program. Some of its features include front camera recording, an overlay icon, various recording options as well as screen capture function. It is definitely a jam packed application that is worth trying. As we have read throughout the post on how to record Line video call, making such recording requires various methods depending on the platform that is used. Just be sure to use the right method that suits your device and to avoid any interruption. Rating: 4.3 / 5 (based on 44 ratings) Thanks for your rating! How to Record Skype Video Call on Computer and Mobile Device?